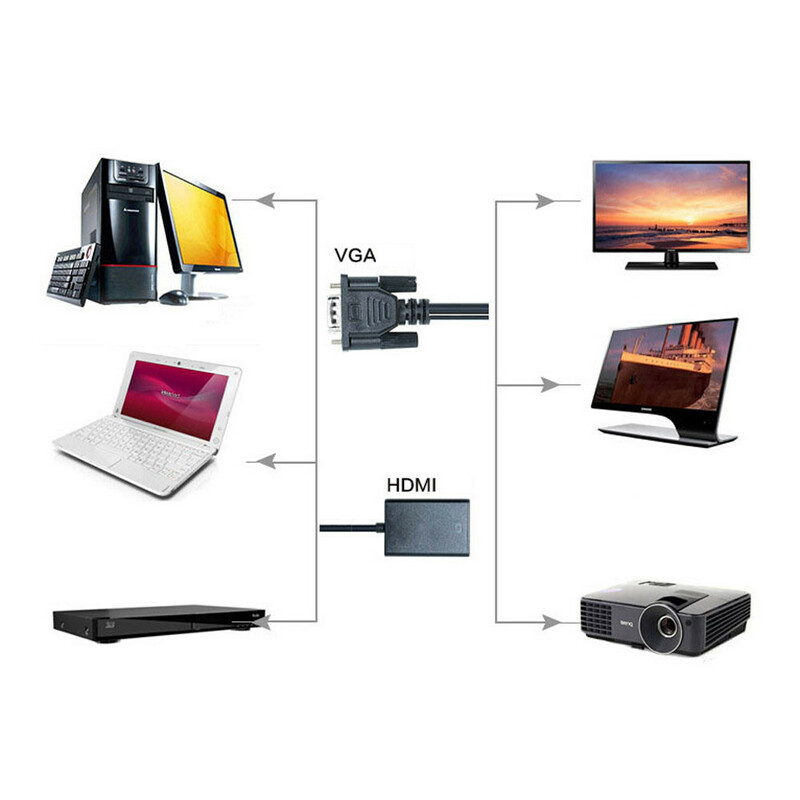 Supports VGA video input:VGA,XGA,SVGA, SXGA, UGA. 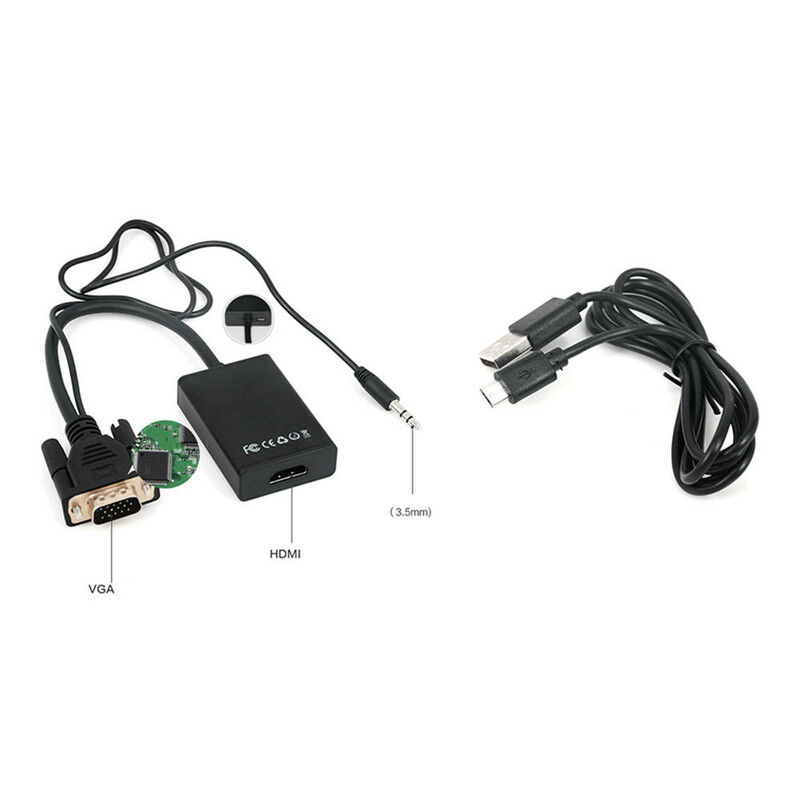 Convert analog signal( VGA ) to digital signal ( HDMI ). The audio is coupled with the VGA video signal, then audio and video are both converted to HDMI format. HDMI output : support up to 1080P / 60Hz ( output and input format synchronization, frequency synchronization). It applied to the desktop computer, laptop, DVD, Set TOP Box, player and so on VGA signal resource input. Easy to install, no need to driver plug an play. 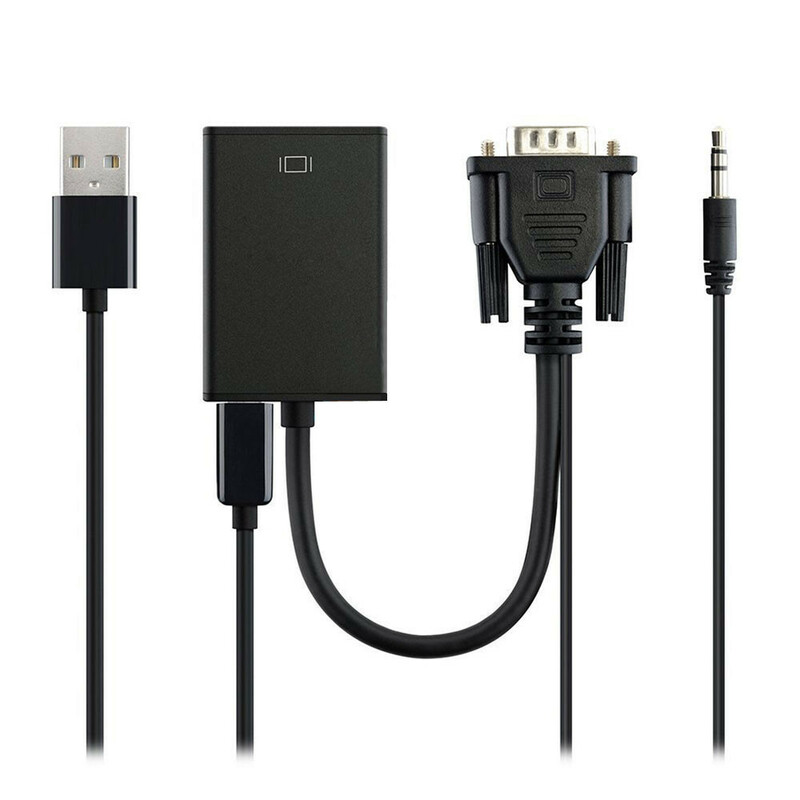 This product with the chip, and need external power source, the operating current: 170mA, the universal USB cable supply to demand normal work. Important Note:converter is NOT bi-directional. It only converts from VGA to HDMI. 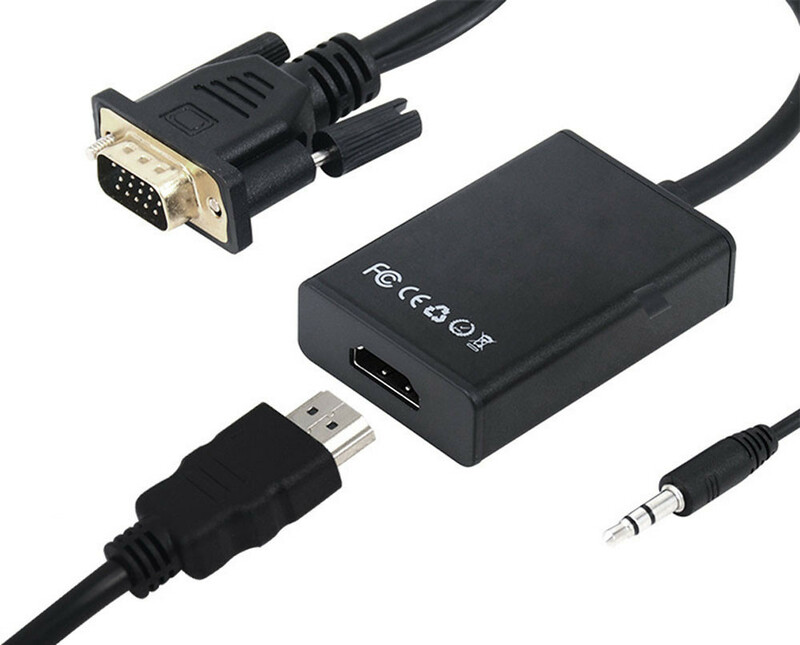 This converter can not be used between the desktop with VGA and laptop with HDMI, as both of them are output signal so it will do not display! 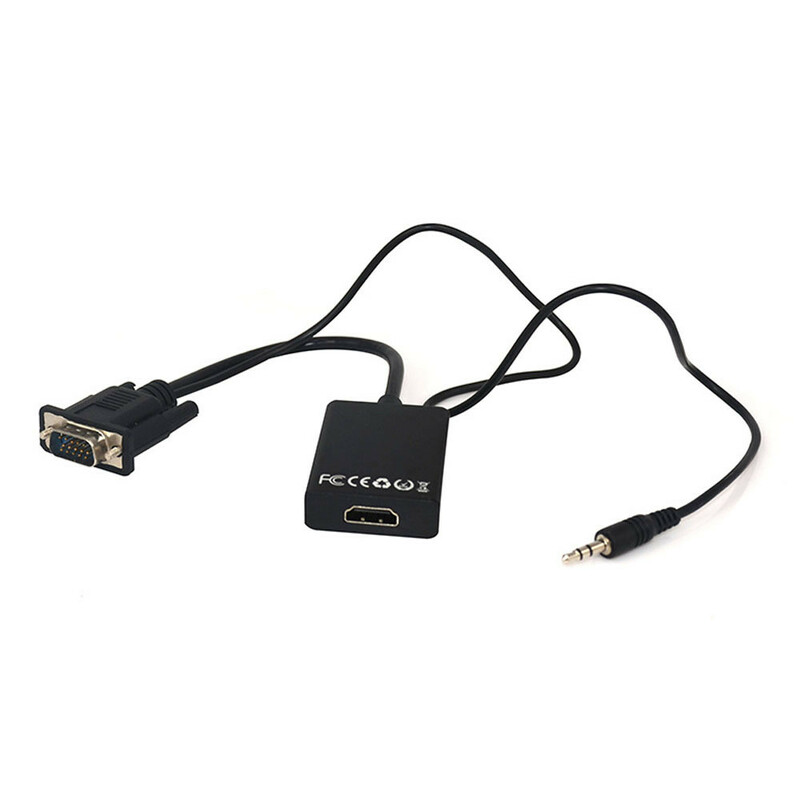 Insert the VGA interface into the computer or other equipment with the VGA output. Please check VGA signal output well. 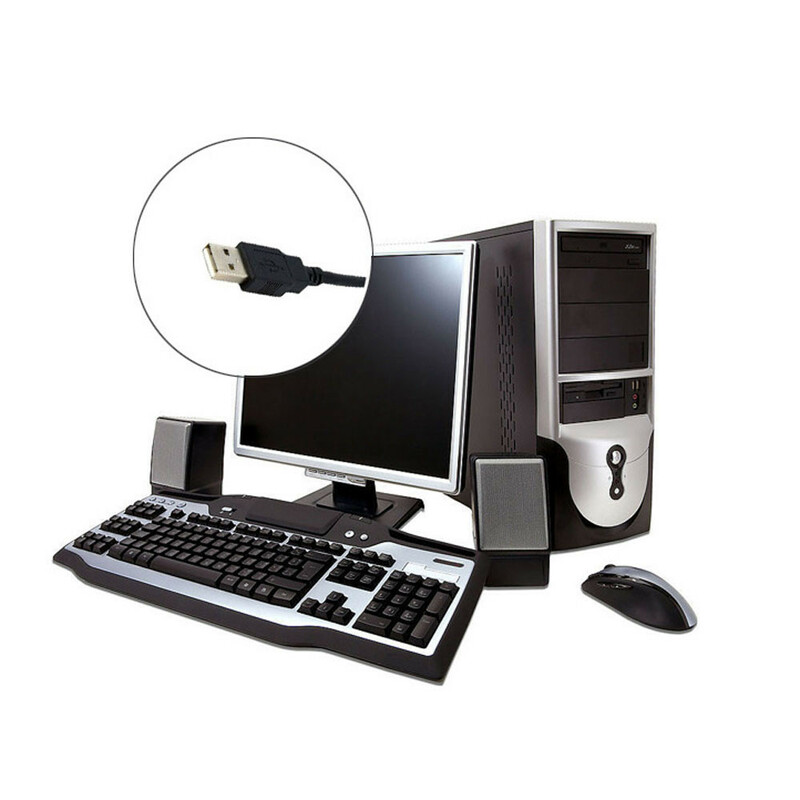 Plug the USB cable connector into USB port to be offered power. 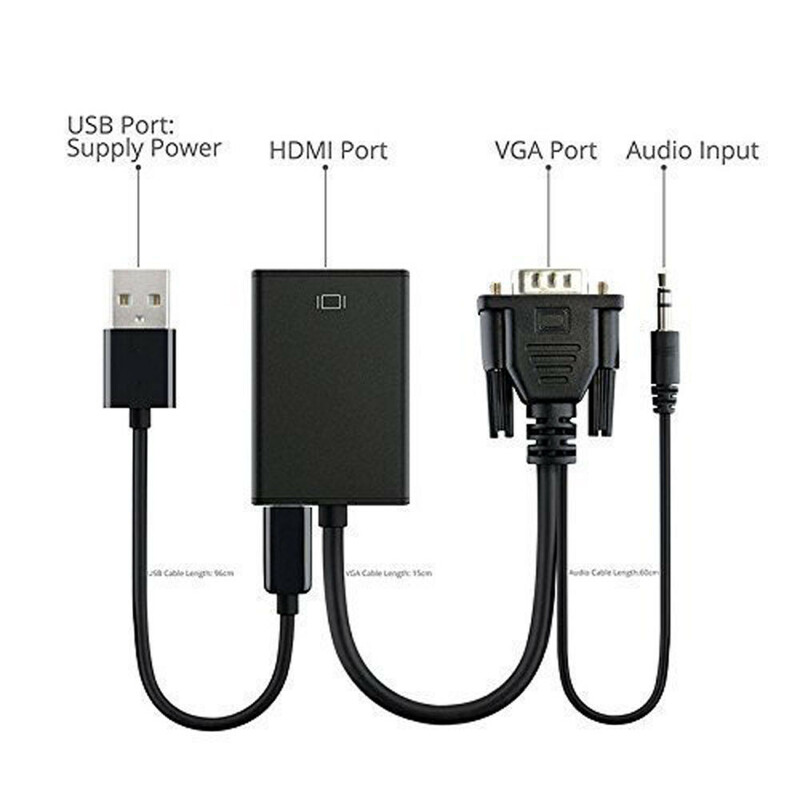 Insert other connector into the HDMI cable, and then connect the HDMI cable to the displayer and the projector device with the HDMI interface.